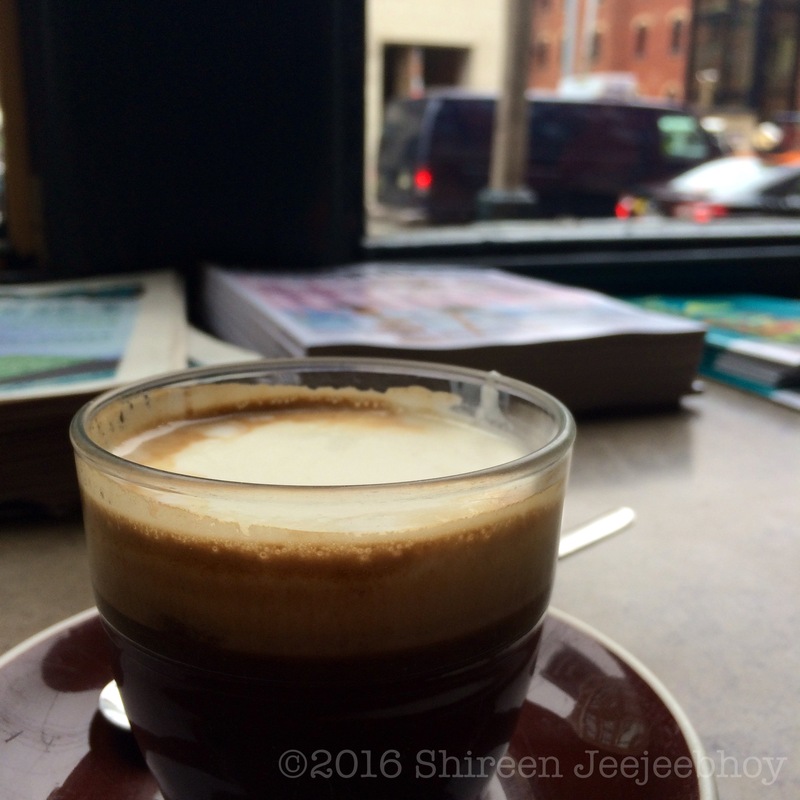 I sit in a noisy café, sipping fresh, black coffee, eating a cream-filled pastry, writing in my iPhone. My brain with its broken neurons pines for peace. But my soul needs the treat; it yearns for the semblance of normal life. My brain will recover from this taxing moment. I’m going to be tired by the time I get home regardless of where I go, anyway. They say that these little kinds of social connections, the brief encounter with your favourite store cashier, the discussion of what coffee to drink with the barista who knows you, the fast-disappearing engagement with your bus driver, alleviate loneliness. It isn’t only the big social gatherings that prevent loneliness, the raucous birthday parties, the endless Christmas feasting, the faux-happiness of New Year’s Eve. In fact, I would say that the big social gatherings in the absence of regular phone calls, text chats, coffee dates, email hellos, FaceTime moments, only accentuate your downward change in social status, the loss of normal relationships, and the intense isolation that brain injury brings. At the end of a very bad year, several years ago, I turned my back on the fiction of big social gatherings and of scrimping for future normalcy and turned my face towards spending on the present to gain these many small moments of smiles and hellos with strangers who had become known to me and me to them. Even though they didn’t know my name. Copyright ©2018 Shireen Anne Jeejeebhoy. May not be reprinted or reposted without permission. That small chat with a barista or cashier may help to combat social isolation. Big social gatherings in the absence of calls, texts, and coffee dates, only accentuate your downward change in social status after concussion. Your barista becomes your friend. Previous Post What If You Refuse to Take Your Narcissistic Ex Back? Next Post The Three Stages of Successful Dating: Where Do You Land?